There’s a Snake in my Boots! | iWeezorz. 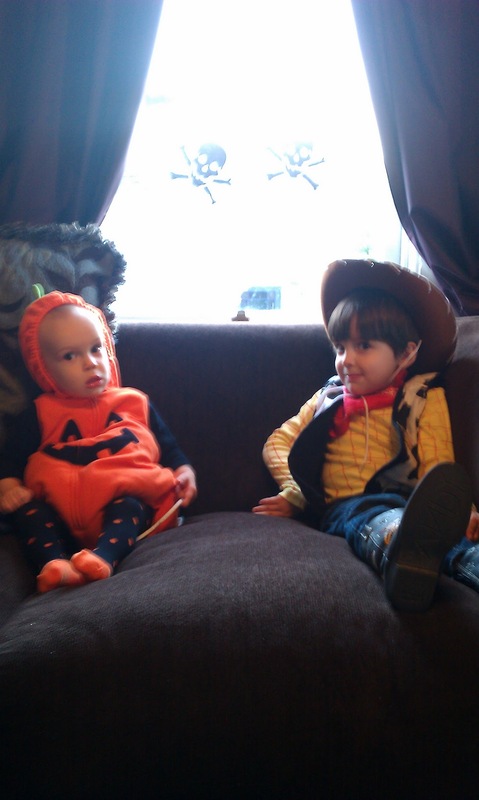 And here we are, the official ‘what my kids were for Halloween’ post. You got a sneak peak at Woody’s vest the other day, but here’s how it turned out. 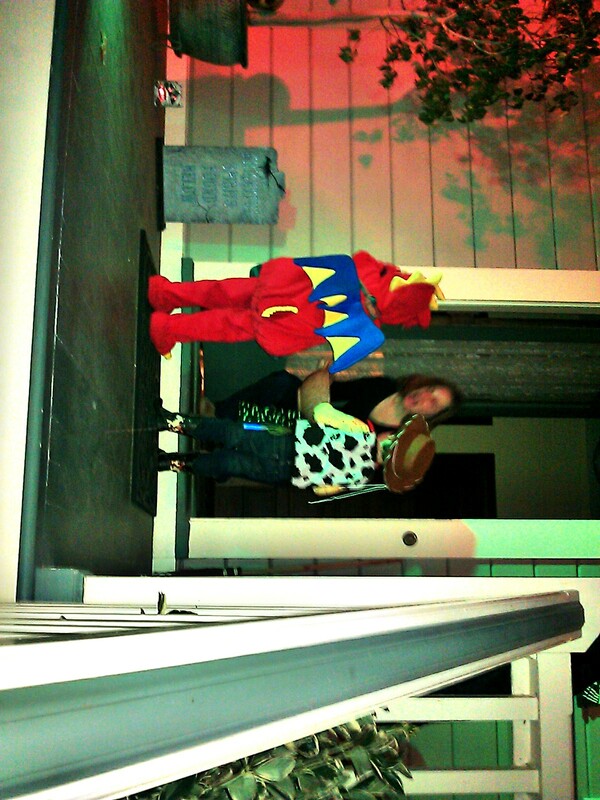 Helo’s costume was a bit of a bust, but I can’t take the blame for that. Will Haven picked it out! 😛 WH’s costume turned out pretty well if I do say so myself! I was missing a few pieces, but I don’t think they were necessary. I could find a yellow woven shirt so I drew lines on a tshirt with a red sharpie. The rest was easy enough to find. How cute are Will Haven and Sabine?? And it only got cuter out there when a friend trick or treating with us convinced Wh to start asking for sausages when he went up for candy. Yes, seriously, my child was asking for sausages. 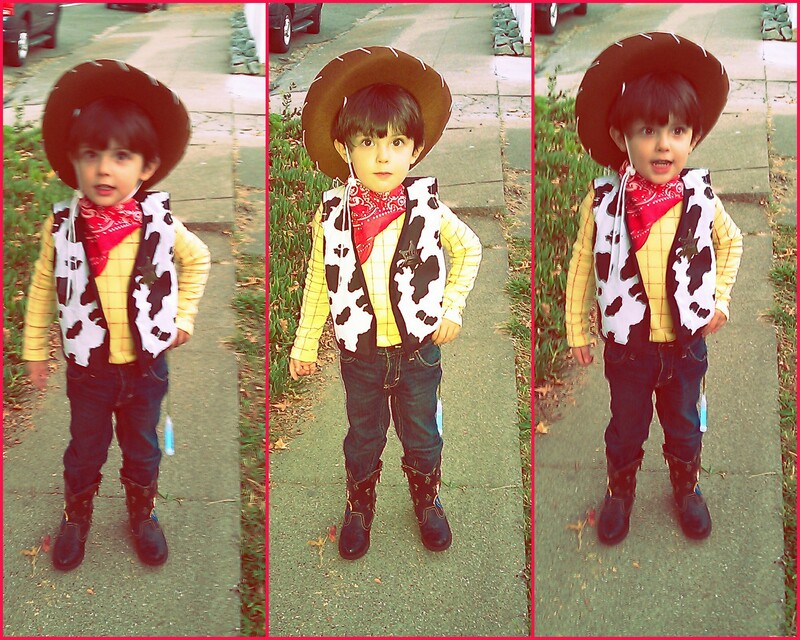 This entry was posted in Crafties, Halloween, Holiday, Kids Stuff, Sewing and tagged DIY Costume, Halloween Costume, Woody Costume. Bookmark the permalink.